188BET was originally established as a sports betting site in 2006, later expanding the business across multiple online gambling channels. However, the principal focus for this review will be on the quality of 188BET’s football betting offering. 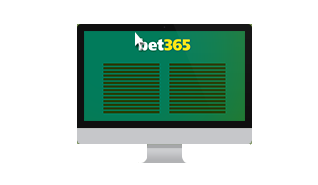 Without logging into an account with 188BET, it can be difficult to actually see the available promotions. Basically, this is because the promotions are displayed in a popup screen that some browsers have trouble with. You might need to switch web browsers to see what is running at the time. A new UK player of the sportsbook for 188BET can register for a £50 welcome bonus by entering the promo code “SPORTS50”. However, it needs to be pointed that this bonus is not as simple as the deals available at other sites. Instead, it works by requiring players to wager at least five settled bets worth five times the value of their first deposit. 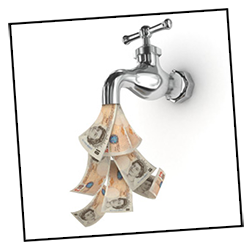 Only then will bonus funds of up to £50 be released. Only odds of 1.50 will be accepted for this promotion when football betting. The promotions can be adjusted quite regularly at 188BET, with ACCA insurance being one of the most common. Typically applicable to accumulators of four topflight matches, a single loss will trigger a free bet in the form of bonus funds. Bore Draw is another popular option, with some games eligible for giving players a free bet in the event of a 0-0 draw. Focusing on the key club markets, these are situated in England, Germany, Italy, and Spain. However, check out the A-Z for many for countries and their respective club competitions. Some of the more obscure options include the likes of Ecuador and Costa Rica. Considering the general odds of the site, these are in line with other major betting sites for the most important games. That being said, the odds could be a little more generous for backing the home team in an evenly matched fixture. Although it is possible to bet on the more obscure leagues, the downside will often be a limit on the markets you can back. For instance, a premier league fixture will let you back all manner of outcomes, including goals, scorers, yellow cards, red cards, handicap results, and even combined outcomes. In-play betting options are not restricted to the most famous leagues in Europe, or even the professional leagues. 188Bet gives its users the opportunity to bet live on the Ukrainian U19s football and the Iranian league, among others. Odds refresh regularly on screen to reflect the changing flow of the games. Mobile betting is carried out directly within mobile browsers, as opposed to a dedicated betting app. Simply access 188BET as you would on a laptop or PC. Compatibility is offered to Android and Apple devices, which covers the two most popular mobile operating systems. Click on the “Contact Us” link at the top of the page to pull up a range of contact methods. Across all of those, 188BET promises customer support on a 24/7 basis. European phone support is available from the following UK number: +44 20 3608 4015. A direct email address is listed as help@188service.com, but a feedback form is also provided in the contact section. For immediate requests, Live Chat is the best option to try. During the registration of a new account, there is a choice whether or not to set the preferred currency as GBP, EUR, or USD. For making deposits, the credit card options are VISA and MasterCard, with the debit card options being Solo, Switch, Delta, and VISA Electron. Alternative methods include Neteller, Skrill, and EntroPay. Direct bank transfers are also accepted. The minimum deposit amount can fluctuate depending on payment method but is generally set at £/€/$20. 188BET succeeds in operating a sports betting site that is set up with the latest technology. Users have access to in-play betting on games in small markets and can also place wagers on their mobile devices. For promotions, a more clear-cut welcome bonus would be huge improvement on the existing deal.